On this week’s podcast we played a track from Dublin-based producer Magic Pockets’ debut LP Volcano of the Bleeding Skies. It got us onto one of our regular tangents: talking about video game music, as ‘Magic Pockets’ was also the name of a video game for the Amiga 500 released in 1991. As someone who grew up on his Amiga, the music on video games was my introduction to electronic and experimental music. The Bitmap Brothers, as producers of some of the biggest selling Amiga games – including Magic Pockets – were a sizeable chunk of this influence, so here’s a selection of some of the best music from their games. The year before Magic Pockets, the Bitmap Brothers gave us Speedball 2: Brutal Deluxe, it was the Terminator 2 of video game sequels – by far outselling and enduring in popularity than its predecessor. The music for it still blows me away now as it did when I first heard it aged 6. Although composed by Simon Rogers, it was brought together by the late, great Richard Joseph (the man whose name I forgot when talking on the podcast), who had also produced music for video games for another leader in Amiga video game music Sensible Software. The game itself is brutal, reflected well in the pumping of the intro music. Released in 1993, The Chaos Engine was arguably the Bitmap Brothers’ pièce de résistance. For me anyway. I’d been incredibly excited to get this game, which had considerable marketing push behind it. Having known the tendency for the Bitmap Brothers to have insanely good scores, can you imagine the excitement building as the intro started with thirty seconds of silence? Then BOOM – an absolutely banging intro produced by dance duo Joi (coded once more by Richard Joseph). Richard Joseph worked with John Foxx of Ultravox for Gods – another game released in a sea of hype, and the one I remember my Dad stealing my Amiga time to play most. In this mythological beast of a game, you play Hercules – a muscled-up brute with a Sylvester Stallone grunt – on a quest to achieve immortality. Like all Bitmap Brothers games, it was ravely reviewed upon release. More traditional in the world of SID-chip video game music is 1988’s Xenon 2: Megablast. This time the music was taken from an already existing track, with David Whittaker coding Bomb the Bass’s ‘Megablast’ to the intro. As an aside, Whittaker also has a song-writing credit on Kernkraft 400 by Zombie Nation, which took off from a track from his 1984 game Lazy Jones. Which brings us nicely around to Magic Pockets, which has Richard Joseph coding Betty Boo’s ‘Doin’ the Do’. The game feature a chap called the Bitmap Kid, who walks around throwing tornados/blackcurrants out of his (magic) pockets at various monsters/snails/bits of slime. It was the only Bitmap Brothers game not to produce a sequel, but it does seem to have inspired one producer in Dublin. Magic Pockets’ Volcano of the Bleeding Skies is out on 25 November 2016 via Cork’s Penske Recordings. You can pre-order from the Penske website next week. After a week in the wilderness, we’re back with great unknown artists, cult legends and some incredible collaborations – not least the one between Gnod & Surgeon. 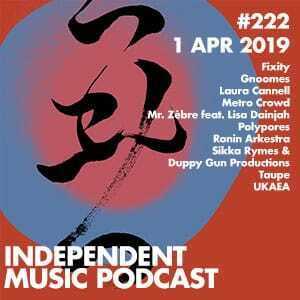 We kick off with a demo from jazz rockists Blegology and soon mix things up with dystopian electro, flute folk, Brazilian funk, and heavy hitting Soweto. We have collaborations between techno legend Surgeon and Manchester psych rockers Gnod, as well as Portugeses psych band Black Bombain and saxophonist Peter Brötzmann. Throw in some Half Man Half Biscuit and you’ve got yourself an immensely enjoyable hour of independent music.